Indition Software for Online Forms, Email Marketing & More. Indition provides you the technology, tools and analytics to streamline your B2B and B2C sales channels. INDITION OFFERS AN ARRAY OF POWERFUL MARKETING, SALES AND CUSTOMER SERVICE SOFTWARE PRODUCTS. Indition’s individual software products work great on their own and even better when used together as a fully integrated suite of technology. Everything you do revolves around the timing of your market. 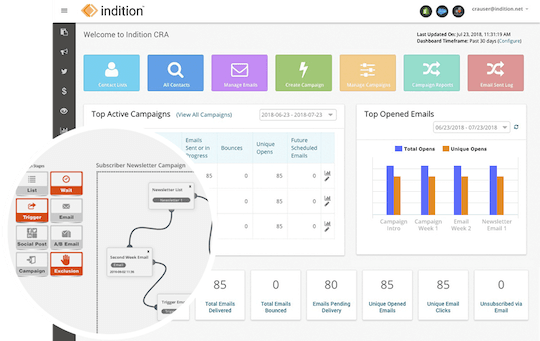 Indition CRA is a full-featured, open architecture Customer Relationship Automation (CRA) solution enabling you to easily manage all of your digital marketing efforts, targeting the right people, at the right time, for the right reason. Indition CRA allows you to better target your efforts, measure customer behavior, segment your customers, and ultimately increase conversions. Indition Forms allows anyone to quickly create custom online forms for their website. It has an intuitive, drag-and-drop user interface that makes creating and building forms extremely easy without having to write a single line of code. Use Indition Forms to create and publish all types of forms including: contact, contests, giveways, quizzes, surveys, payments and much more. Sales people sell more when armed with the best tools. 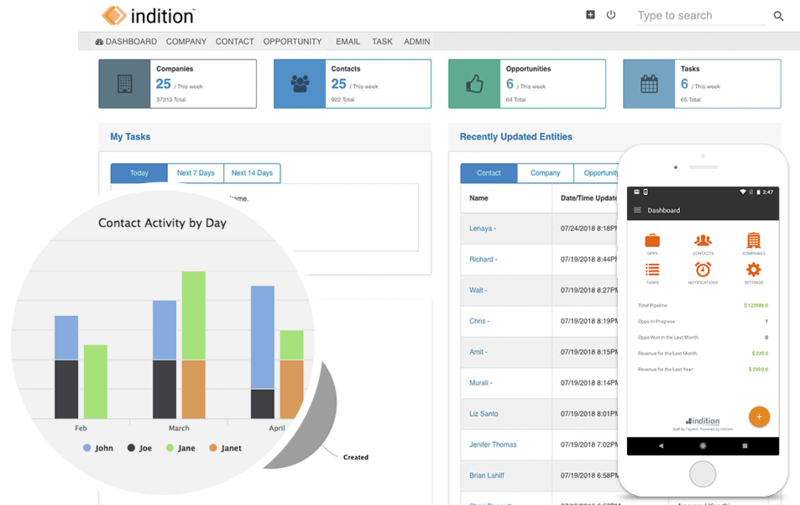 Indition Sales Team CRM is a CRM with the flexibility you need, the features you want, and the results you expect. Retain the customers you have and gain the customers you want improved insights into your contacts through the sales cycle. Spend time managing your content the way you want, not how the CMS requires you to. Indition CMS is the most flexible, feature rich system for managing large scale content web sites and intranets. Reusable and inheritable content and widgets means you can build your pages faster and maintain them more easily. A customer service solution for single or distributed call centers. Provision agents instantly, create an internal an external knowledge base, track contact engagement and never make your customers ask the same question twice. When your call center is taking orders, you need an integrated solution with one view into your customer. Indition OrderDesk provides a rich set of tools to enable a call center agent to quickly place an order, manage an order or manage an account. Time is money and OrderDesk reduces time and increases the money. 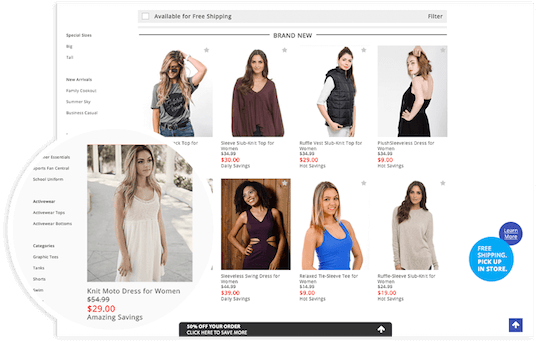 Enabling selling experiences for both B2C and B2B, Indition Commerce delivers best-in-class cross-platform commerce solutions with the power, flexibility and scalability to meet the evolving demands of your online business. 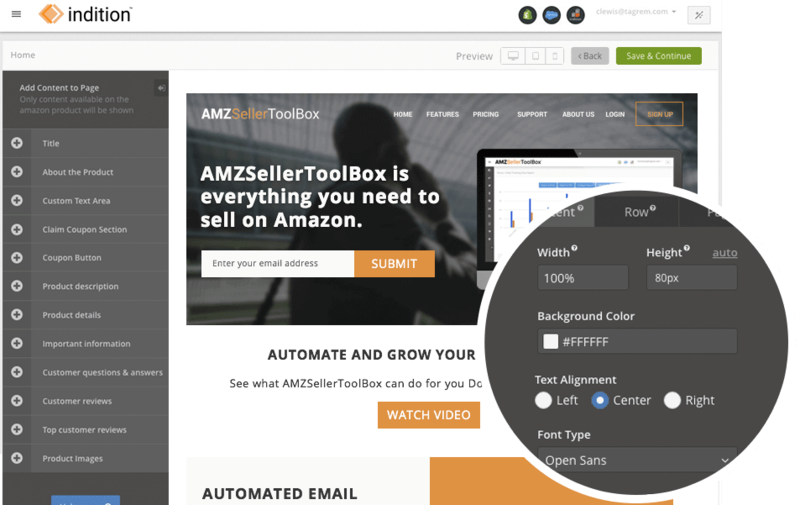 Create landing pages for advertising, lead generation, or product introductions quickly and easily without the need for any IT support. 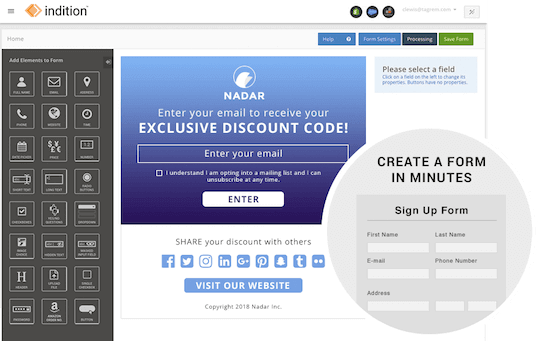 Reduce time and increase conversions with Indition Landing Pages. Hundreds of pre-built templates and integrations with the most common applications.